I'm a big proponent of using up leftovers and avoiding food waste. It pretty common for me to re-purpose last night's dinner and eat leftovers for breakfast, especially when it's takeout. 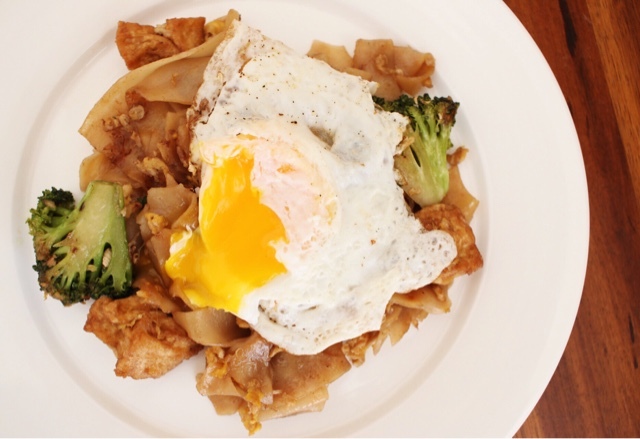 Garlic fried rice is one of my go-to's or simply add an egg to your pad see ew like I did here. Happy leftover eating!